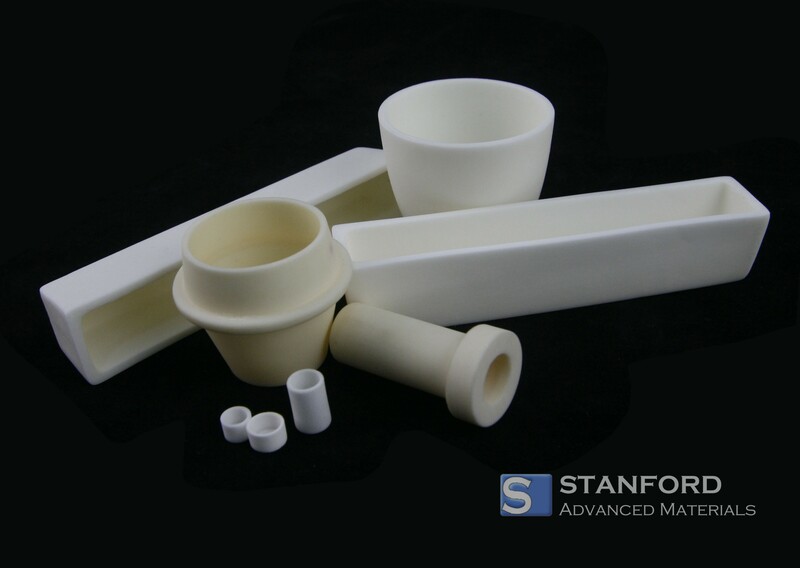 Alumina is a ceramic material with high thermal conductivity, compressive strength, and thermal shock resistance. It also has a low thermal expansion, making it a suitable material for furnace use in crucible, tube, and thermocouple sheath form. Alumina is high hardness and good wear resistance, making it a suitable material for ball valves, piston pumps, and deep drawing tools. In addition, it can be easily combined with metals and other ceramic materials using brazing techniques and metallizing. Alumina crucibles can be used under high temperature and do not contaminate most melten metals.